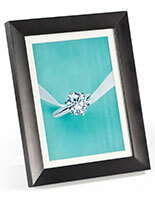 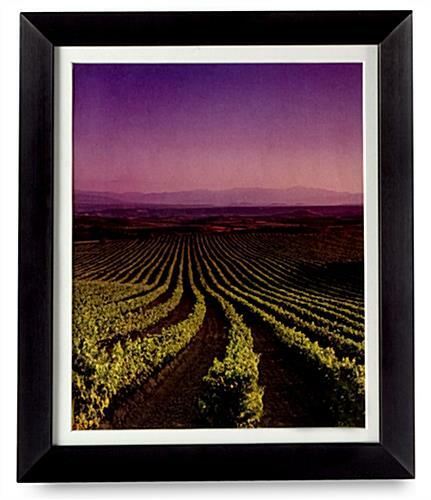 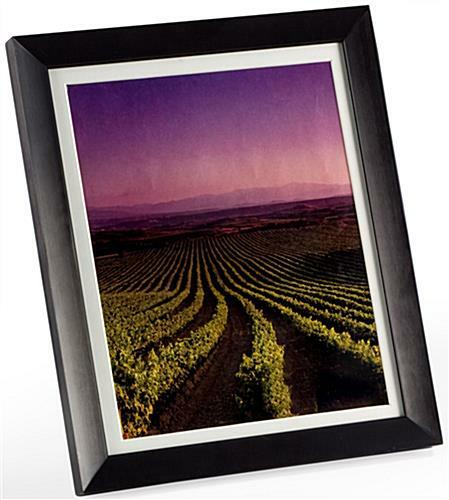 These photo frames offer an attractive solution for displaying your favorite photo, picture, or store advertisement. 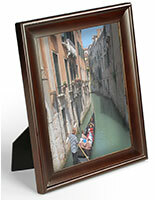 They can be displayed either vertically or horizontally on a tabletop or wall-mounted. 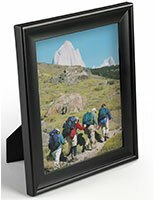 The included mat board displays 8" x 10" pictures perfectly. 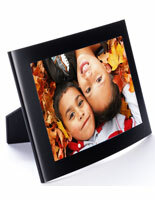 Made from aluminum, these photo frames feature a wide frame width that adds style to any image! 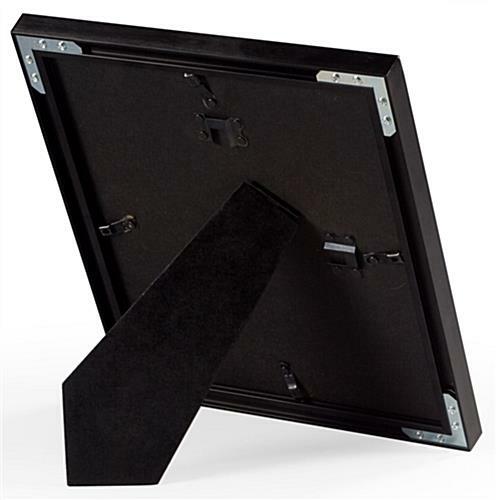 10.8" x 12.8" x 0.75"